Melamet (Hydroquinone 2%) is a skin brightener cream that is made up of three key active ingredients namely Hydroquinone 2%, Tretinoin 0.025%, and Mometasone Furoate 0.1 % that contribute to a more healthier and smoother name. “Skin Lite” the generic of Melamet can treat wrinkles and acne on the skin. It is an effective treatment against melasma, pigmentations, and dark spots. It is the first line of defense against any skin disorder. You can buy Hydroquinone 2% here. 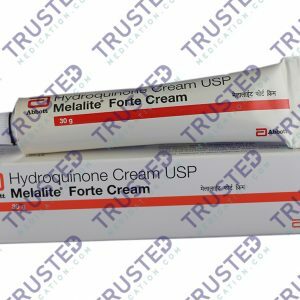 Why buy Melamet (Hydroquinone 2%) for acne? Dark patches and dark skin. Hydroquinone is a skin bleaching agent which lightens skins where hyperpigmentation has occurred. This agent works by stopping the skin coloring agents and serves as a bleaching action. 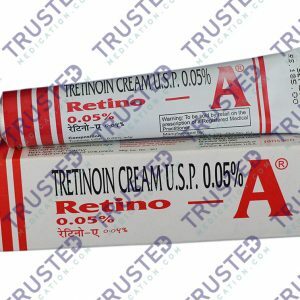 Tretinoin belongs to a class of retinoids which helps prevent or reduce the intensity of acne. Tretinoin can also treat acne and wrinkles by peeling off the dead skin cells or stopping the growth of the skin cells. Mometasone Furoate is classed as a potent topical and medium-strength corticosteroid. It is used to treat skin conditions like rashes, psoriasis, allergies, and eczema. It has the capacity to decrease swelling or inflammation, redness, and itching. How to use Melamet (Hydroquinone 2%)? The quantity of Melamet to be applied for the particular skin condition and the frequency of application per day has to be as per Dermatologist’s prescription. It must not exceed the duration in terms of the number of days in the use of this medicine. What are the side effects of Melamet (Hydroquinone 2%)? Use with caution with patients especially women who have recently undergone thyroid test and if the patient is an elderly patient. Avoid covering the affected area with a bandage to prevent internal absorption in the skin. Avoid if the patient has acute and/or systemic fungal infection. Be sure the patient is not allergic to any of the components of this medicine. Monitor actively if being used for a long-term. 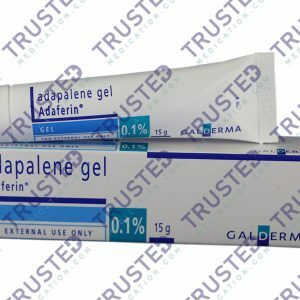 Adaferin Gel (Adapalene) is a topical medication prescribed for treating, controlling and preventing mild to moderate acne in patients 12 years of age and older. It belongs to the class of drug called retinoid. Adaferin gel helps heal pimples faster by reducing the swelling and inflammation of the skin. It can also decrease the formation of blackheads, spots and Keratosis pilaris. You can buy Adapalene here.